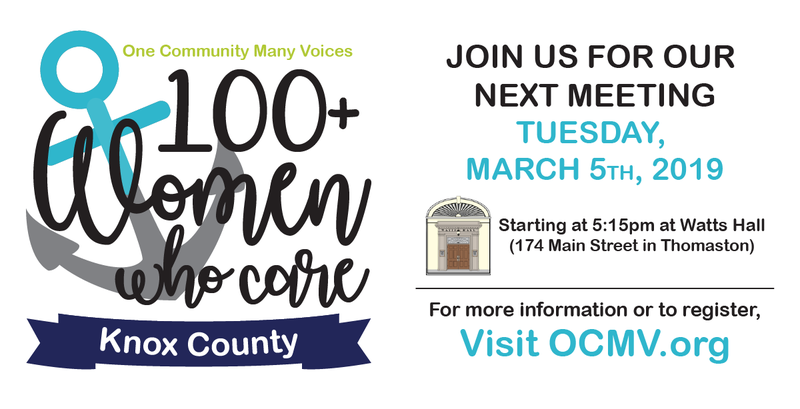 This group’s purpose is to find local women who will contribute $50 each four times a year – through either individual or pooled membership – to annually give to non-profits that work in Knox County and the communities of Waldoboro and Lincolnville. We’re an informal group of busy women who love Knox County and the communities of Waldoboro and Lincolnville. Our group supports the work that local non-profits do by by raising funds, exposure, and awareness – in a minimal amount of time. 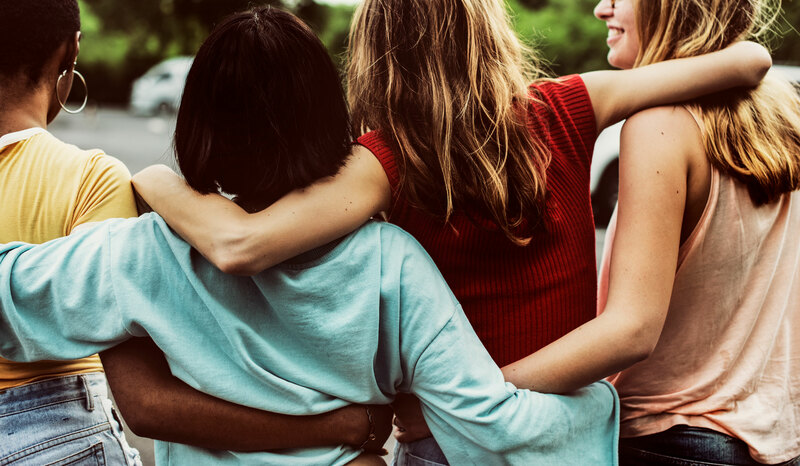 Inspired by more than 100+ Women Who Care chapters around the United States and Canada; we have created a local philanthropic group of women from all walks of life, teaming together to have fun while giving back. * Four (4) times a year members show up with a blank check in hand to give. * At each meeting, any member can nominate a pre-approved nonprofit she wants to speak about. * Three members’ names are randomly drawn at the beginning of each meeting, and these women can speak the nonprofits they support. * Each has five minutes to talk from the heart (no PowerPoints or handouts, etc.! ), and then there’s a brief Q&A session. * After these presentations, members vote via secret ballot on which nonprofit to support. Each ‘member’ – whether registered as a single person or two-person pooled pair – receives one vote. Those in a pool decide together and submit one ballot collectively. There is no proxy voting. * The nonprofit with the most votes receives all checks, on the spot. * All checks are collected by the Steering Committee and given to the selected charity within two weeks of the meeting. The member who nominated the recipient charity will be asked to participate in the BIG GIVE. More on this later. * The selected charity is invited to the next meeting to share about the impact 100+ Women Who Care donations have made. To review nonprofit eligibility or to submit a nomination form, click here. It’s fast, simple – and effective! 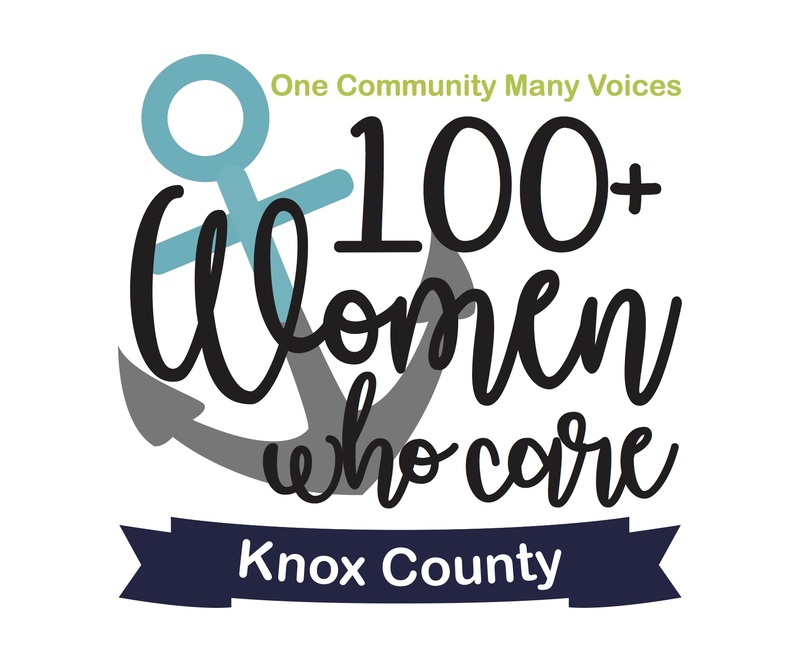 Becoming a member means you’re making a c ommitment to 100+ Women Who Care-Knox County to make an annual donation of $200 ($50 per quarter) to local 501(c) (3) charities serving Knox County and the communities of Waldoboro and Lincolnville. You can either become an individual member or pooled member. An individual member contributes $50 per meeting on her own and has one vote. A pooled member is two people collectively contributing $50 per meeting. The pair has one vote only. Please understand that even if you did not vote for the selected charity, you still need to fulfill your donation commitment. If you’re not able to attend a meeting, you’ll either give your check to another member to deliver to the meeting on your behalf, or mail your check. Simply fill out the form below to become a member. *5:45-6:30 p.m. – Meeting: Welcome, Presentations, Voting, and Charity Selection (while votes are being counted: charity selected at previous meeting will provide an update). Click here for a pdf of the basic concept guidelines. Please feel free to attend any meeting as a guest. If you’d like to donate to the selected charity while there, you’re welcome to do so. However, you must be a member to vote. Individuals must have a completed Membership and Commitment Form on file before nominating a charity.